An ornate William McKinley item made to celebrate his 1897 inauguration as president. 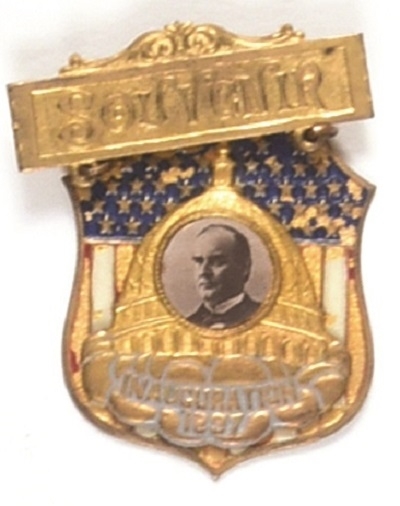 This striking brass badge includes picture of McKinley at center, souvenir pin at top and embossed lettering at bottom. Some of the blue and red paint has flaked off, otherwise excellent.